Why I don't trade penny stocks. In my watchlist I only include Big-Mid-Small Caps companies, only those with MarketCap >500M. Must also have good daily volume of transactions, medium-high volatility (30-80%), with an accessible float (i.e shares in the hands of the public > 200M shares), and also be quite popular, those which make the news of the day . So, If you are looking for the also popular penny stocks, this blog is NOT your place. There are many investor webs or blogs that launch or "analyze" 5 to 10 pennies each day, of which only 1, with luck, get gainer. (And sometimes you have to pay for that info as a great offer!) Of course, having very high risk-reward, one of the characteristics of the pennies are its usually strong gains (or strong losses). So, it is very tempting to buy penny stocks and wait for the rise, but if one has a rigid risk management can and should avoid them. However, every trader is free to decide: go ahead if you like bets, and good luck. In my experience of 10 years, the first of them with some purchases of penny stocks, finally I come to that conclusion: that buy penny stocks is simply a bet (I do not consider it an investment). Your final result is unpredictable, it's like throwing the dice. The idea is: I buy because others buy, which in turn buy because others bought ... They do not resist the least fundamental analysis because many do not publish their financial results: their basis for moving the price are the rumors. Also remember that pennies do not quote on the NYSE, they do it in risky parallel markets like the OCTBB. To really make money the pennies, in addition to luck, you have to discover what entrepreneurship, among thousands, will really succeed, and also make the trade at the exact moment. And that is only achieved speculating, with privileged information only available to a few investors, as seen in movies like "The Wolf of Wall Street" or "The Big Short", both mandatory for every trader. 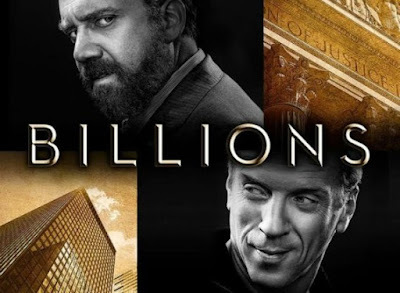 As I'm already on the subject, I take this opportunity to recommend a Showtime drama (3 seasons, available on Netflix): "Billions". It theme is based on the life of the hedge fund manager Bobby Axelrod, a finance, investor, speculator and guru of the stock trading. A real abuser of privileged information and bribes to increase the enormous wealth of his company Axe Capital. Many of his scenes, dialogues and phrases are simply a delight for lovers of trading. To my taste, Billions is one of the best drama of the Netflix catalog. Required vision for those involved in the world of finance and stock trading. Since mid August, cannabis stocks were a mania in Wall Street. Not properly all these "pot stocks" are pennies, but if the vast majority. One that is in all the news is Tilray TLRY, a canadian company with only 2 years of existence, that invests and develops cannabis, both use for medical and recreation purposes, taking advantage of the recent legalization approving its use in Canada and some states of USA. Their fundamentals, valuations, GAAP Income Rates prior to its IPO were analyzed and adjusted in this link from Forbes, that conclude that their numbers were unclear. Verbatim: "With only two years of history, it’s hard to draw any firm conclusions about the long-term trend in profitability for Tilray, but my adjustments show that growing losses are masked by GAAP numbers". and GAAP Net Losses increases in Tilray last year finances. Wall Street had sometimes crazy charts as this: Tilray PS Ratio above the FAANGs ! Many explications for this behavior. The main, in my opinion, is its ridiculous float of only 18M of shares (to give an idea its competitor, the small cap Aurora Cannabis Inc ACBFF manages about 912M), made difficult shorting it, making the stock rises wild for several days. Few investors handle these shares and they can easy speculate with the stock by raising or lowering the price to their liking. Its 19th September session trade had to stop up to 5 times due the high volatility, reaching the psychological $300, its all time high, and then begin the progressive and expected correction of the price. A chart with the history of Tilray after its IPO. The usual form of a bubble: flat, explosion and wild pullback. Well, every party has its end, and this pot-mania fever seem relatively short, much less as the bitcoins did in 2017. In this case, the usual pullback that precedes all bubbles like this on Wall Street, only lasted a week. Today the stock is moving in ranges more stable (despite having a high volatility of 160%) in values around $120-140, even exaggerated in my opinion. I recommend this article by David Borun about this Canadian company and its future prospects. Therefore I usually expect that bubbles burst to operate then with lower risk. 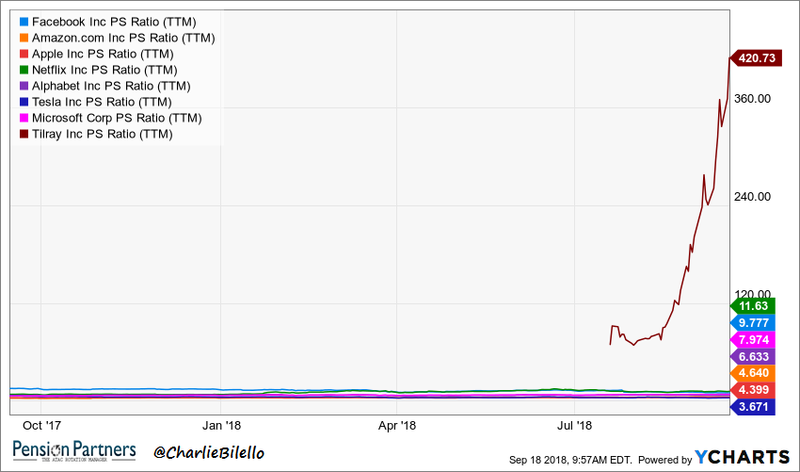 In my opinion, TLRY prices are still overvalued, but less volatile and more manageable for a swing trading.